Multi-level modeling extends the conventional two-level classification scheme to deal with subject domains in which classes are also considered instances of other classes. In the past, we have explored theoretical foundations for multi-level conceptual modeling and proposed an axiomatic theory for multi-level modeling dubbed MLT. 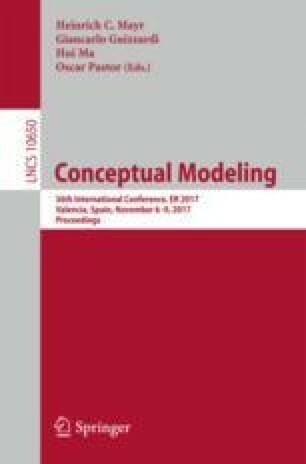 MLT provides concepts for multi-level modeling along with a number of rules to guide the construction of sound multi-level conceptual models. Despite the benefits of MLT, it is still unable to deal with a number of general notions underlying conceptual models (including the notions used in its own definition). In this paper, we present an extension of MLT to deal with these limitations. The resulting theory (called MLT*) is novel in that it combines a strictly stratified theory of levels with the flexibility required to model abstract notions that defy stratification into levels such as a universal “Type” or, even more abstract notions such as “Entity” and “Thing”. This research is funded by CNPq (grants numbers 311313/2014-0, 461777/2014-2 and 407235/2017-5), CAPES (23038.028816/2016-41) and FAPES (69382549). Claudenir M. Fonseca is funded by CAPES. We thank Giancarlo Guizzardi for fruitful discussions in topics related to this paper.